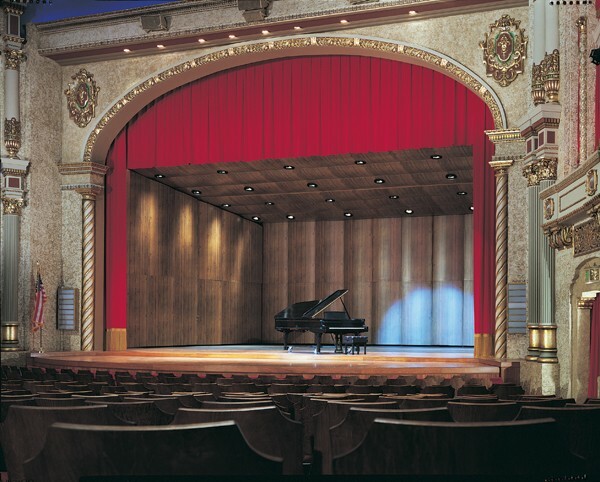 Every historic theatre CSS has been privileged to work on remains close to the Studio family. 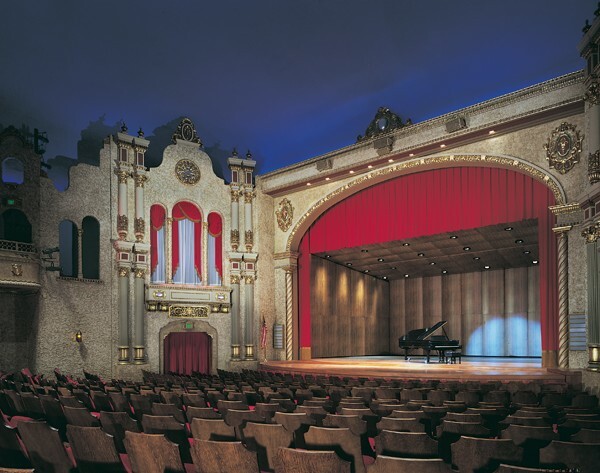 But the Stephanie H. Weill Center – Sheboygan Theatre (1928) in Sheboygan, Wisconsin has actually played a role in the family history. 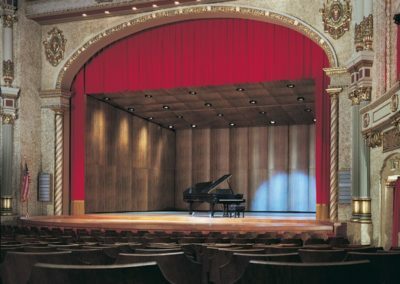 “Up in that balcony, I had my first date with the girl who was to be my wife for more than 60 years,” recalls CSS President Emeritus Bernard O. Gruenke, who purchased CSS in 1948 and has kept the Studio in the Gruenke family. 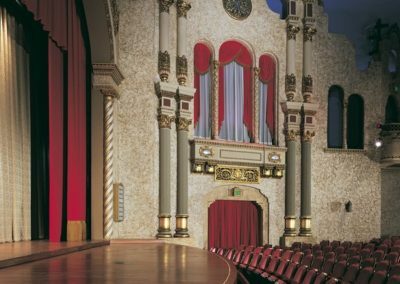 A Sheboygan native, he took his late wife Mary Anne to the theatre for their first date in 1933. 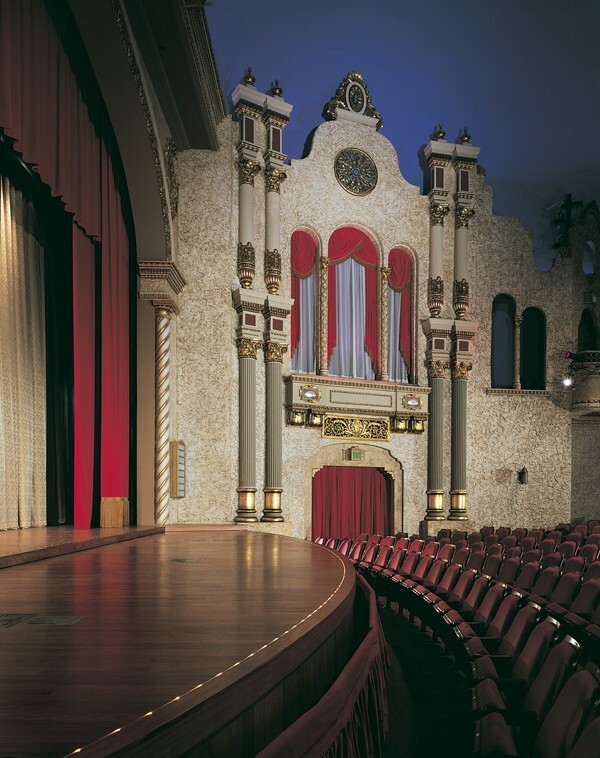 The 1550-seat, Spanish Colonial Revival theatre was designed by architects Larsen and Beaudry of Chicago and built in 1928 for a cost of $600,000. 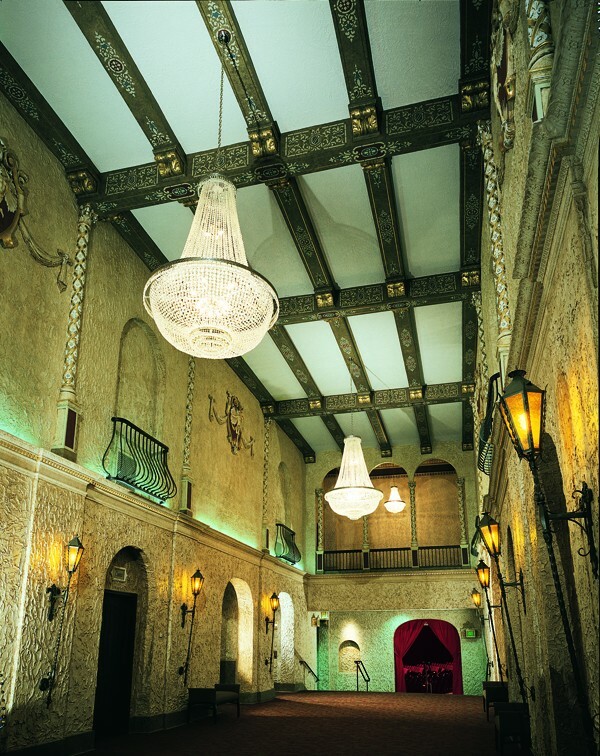 The atmospheric interior includes double columns, parapets, archways and balustrades that evoke an old Spanish courtyard under a starry sky. 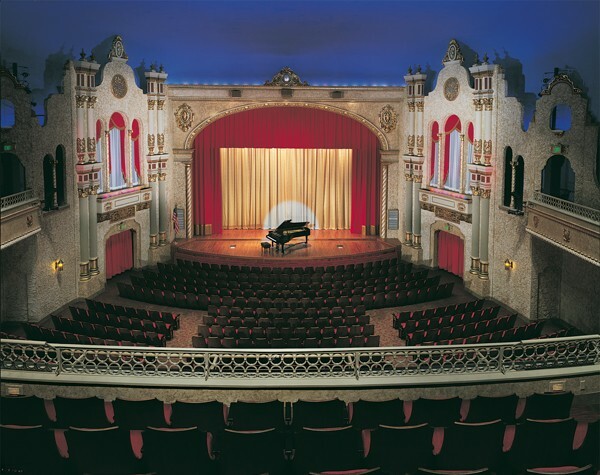 Like many historic American theatres, the Sheboygan’s attendance as a cinema declined through the century, and it closed in 1992. Over the years, it had been twinned by the Marcus Corp. that owned it and had suffered serious water-damage. 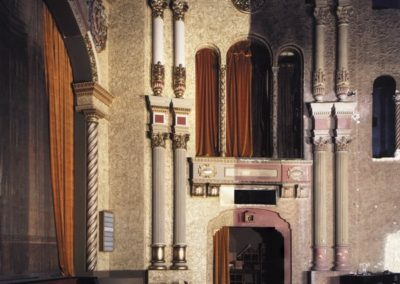 In 2000, CSS provided a sample section of the proposed restoration work to aid fundraising efforts, and the community met the challenge. 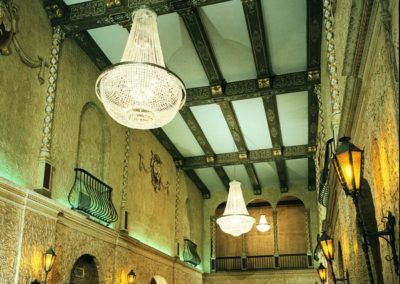 A paint investigation was conducted by the Studio in the historic lobby and original stencil patterns were returned to the ceiling beams. After extensive plaster restoration was conducted in the main house, artists applied a new decorative scheme based on a composite of the historic decoration. 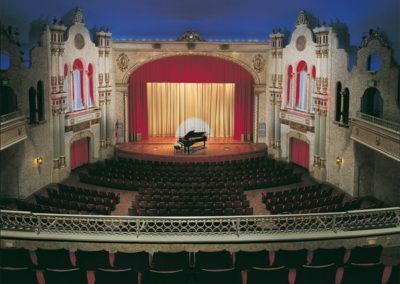 It is a fresh beginning for the Sheboygan Theatre, one that brings new life to the city’s historic downtown. 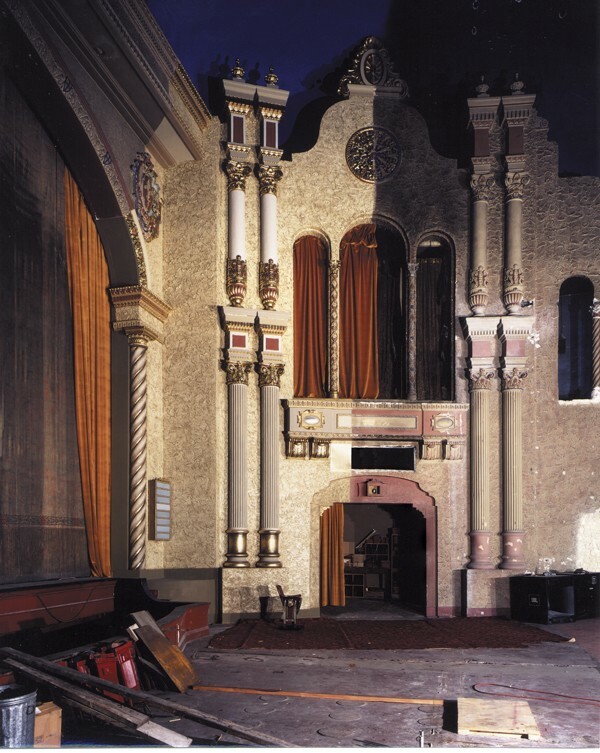 Over a half-century has passed since the entertainment palace participated an important passage in the life of Bernard O. Gruenke. At last, he and his family have been able to return the favor.